Paschal Donhoe's 'balanced Budget' set out to please as many people as possible but a number of interest groups have been left less than impressed following his speech. Budget 2018 has been described as "morally indefensible", as interest groups and the opposition offer their criticisms on Paschal Donohoe's €1.2bn Budget package. The leader of the country's largest union has described the Budget as a "slick piece of political presentation" that is "morally indefensible". 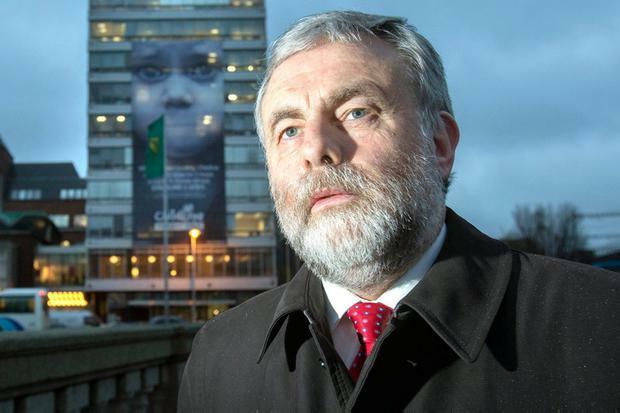 Siptu President Jack O'Connor said that Fine Gael and Fianna Fáil, backed by a "coterie or right wing independents", have returned to a value system that sparked the economic crash. He said the parties had the chance to transform "our grossly unequal society" for the first time since the economic collapse of 2008. "In the midst of a housing and homeless crisis, the government has chosen to deploy €335m on token tax cuts, €461m on continuing the VAT give away to bad employers in the hospitality sector and €1.5bn on a totally unnecessary ‘pet project’ rainy day fund," he said. He said this amounts to €2.29bn, which could build 12,000 local authority houses that "would actually make a difference". "On top of that, developers are to be gifted €750 million or 60pc of the cost of constructing 6,000 houses," he said. Meanwhile, Barnardos chief and Children's Rights advocate Fergus Finlay, speaking on RTE news described the Budget as a "dolly-mixture" Budget. The Irish Medical Association has slammed the Budget has "fake news". IMO president Dr Ann Hogan has hit out at the Government, who today announced an increase in health funding of €685m, bringing total funding to €15.3bn. This includes funding for 1,800 new frontline staff. "That is nothing but spin and fake news. The reality is that our spending on public health services has not kept pace with either rising demands or the increase in population of our patients over 65," she said. "Everyone knows that the health budget for the coming year will not even keep pace with health demands and the various crises afflicting the health services will worsen over the coming year. What we now know as a crisis in our health services will become the new norm and we still wait for our Government to make meaningful investment." The Government's newly announced housing measures have received a mixed reaction. The Society of Chartered Surveyors Ireland welcomed several measures aimed at boosting the housing stock. But the group warned that the Vacant Levy tax hike may not go far enough. “Supply has finally become the focus of the Government’s plans. The housing crisis has been worsening because of the lack of supply and new building," Áine Myler, Director General of the society said. “The increase to the Vacant Site levy is a welcome signal to the market to get building. However, the increase from 3pc to 7pc may not be sufficient in a market with double digit capital appreciation rates on development land." Meanwhile, the national representative body for private landlords, the Irish Property Owners Association (IPOA) strongly criticised Budget 2018 for "ignoring the difficulties in the private Rented Sector again and pigeon holing, 700,000 Tenants and 175,000 Landlord’s into obscurity". IPOA Chairman, Stephen Faughnan, said that the Budget was "another missed opportunity" to encourage private landlords to stay in the sector following many years of bad decisions. Meanwhile, today's reduction in the Pupil Teacher Ratio to one teacher for every 26 pupils, 26:1, down from 27:1, has been broadly welcomed. The reduction of the PTR to 26:1 is expected to have a direct impact on about 300 schools, those with the most overcrowded classes. That amounts to about 10pc of all primary schools. Currently, average class sizes in Ireland are about 25, second highest in the EU after the UK , and well ahead of the EU average of 20. Irish National Teachers Organisation (INTO general secretary Sheila Nunan said it was “a “welcome step towards bringing Irish class sizes into line with other countries. Meanwhile, Solidarity People Before Profit TD Paul Murphy, described the budget as a "budget of spin". Sinn Féin's Finance Spokesperson Pearse Doherty said the Budget marks a return to the "boom and bust" politics of the past. The Labour party have also been critical of today's Budget with deputy Alan Kelly even going as far as using a cup of coffee as a prop in the Dáil when delivering his comments.